No. 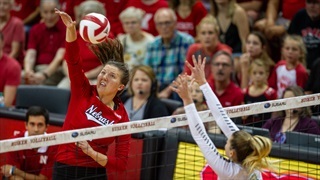 4 Nebraska (9-1) put together its best offensive match of the season on Saturday night to sweep Missouri State (7-6) and keep the Husker Invite title in Lincoln. No. 4 Nebraska (8-1) set up a dominant block on Friday night as the Huskers used 16.5 blocks to take down New Mexico (5-6) in four sets at the Husker Invite. 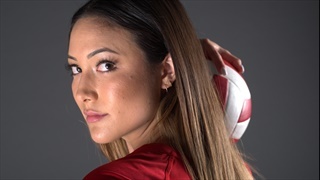 Texas transfer Lexi Sun made her debut and finished with 13 kills, tied for team-high honors. No. 4 Nebraska (6-1) picked up more and more steam as the match went on en route to a sweep over Central Michigan (3-7) in the Huskers' first match of the 2018 Husker Invite. No. 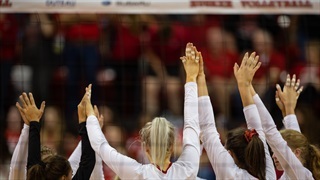 4 Nebraska is preparing to close out the preseason this weekend by hosting the Nebraska Invite. Central Michigan, New Mexico and Missouri State will all be swinging through Lincoln for matches on Friday and Saturday.